Located in central Connecticut on Besek Mountain, Powder Ridge was for many years one of the most popular ski areas south of Massachusetts. After a multi-year closure, Powder Ridge reopened in 2013. Louis and Herman Zemel may have opened Powder Hill as a rope tow ski area as early as 1959. Within reach of a major population area and aided by snowmaking and night skiing, the ski area quickly entered into a growth swing. A lower mountain T-Bar debuted for the second half of the 1960-61 season, followed by an upper mountain T-Bar in 1961-62. 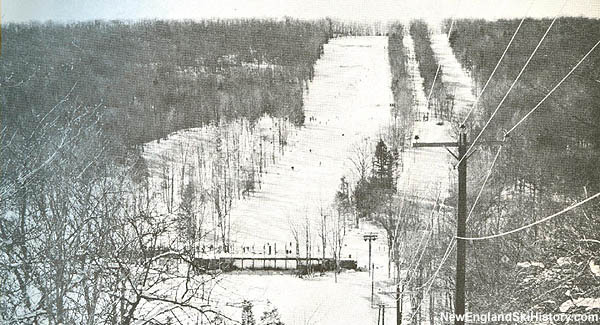 Top to bottom night skiing also debuted in 1962. Powder Hill entered the chairlift world for the 1963-64 season, when a 2,600 foot Hall double was installed. The new lift provided access to the top of the ski area. A novice double chairlift, once again a Hall model, was installed for the 1965-66 season. Powder Hill also started an "Early Bird Skiing" program that year, welcoming skiers at 6:30 AM and providing a continental breakfast. Night owl skiing was soon introduced, keeping the slopes open until 3 AM. Also around the mid 1960s, the region's segment of Interstate 91 was completed, improving access to the ski area. Access to ski areas further north was also improved, however. In 1970, the ski area changed its name to "Powder Ridge" and made headlines as the venue for the Powder Ridge Rock Festival. A three day event one year after Woodstock, many popular artists of the day, including Fleetwood Mac, James Taylor, Joe Cocker, Van Morrison, Jethro Tull, Janis Joplin, John Sebastian, Chuck Berry, and possibly Led Zeppelin were expected to play. Connecticut newspapers projected crowds of up to 50,000 to attend the July 31-August 2, 1970 festival. After local opposition, the event was halted on July 27, 1970, just days before the projected start. Due to the short notice, up to 30,000 concert-goers showed up and proceeded to trash the area and cause drug-related legal issues that would plague the courts for months to come. Also in 1970, the ski area attempted to move forward with an expansion. After gaining a special permit in 1971, construction was halted in the fall due to local lawsuits. Construction resumed the following year and the "747" lift opened for the 1972-73 season, becoming the first quad chairlift in New England. In terms of lift infrastructure, Powder Ridge remained roughly the same for the next three decades. Incremental improvements were made to night skiing and snowmaking operations. 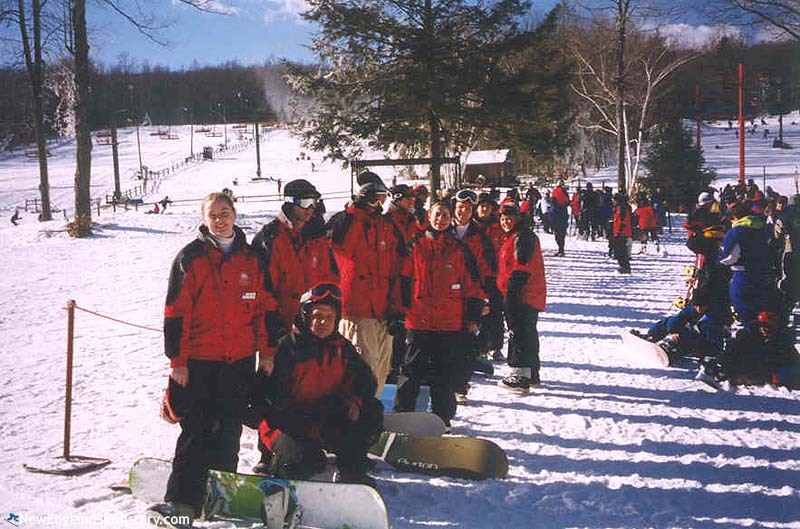 In 1996, White Water Mountain Resorts, Inc. purchased Powder Ridge, with the intent of building it into a four season resort. In 2001, the aging centerpole quad chairlift was converted to a triple. In addition, the South double chairlift was also converted to a triple. The ski area hit tough times soon thereafter, as hopes of expanding to a four season operation were shot down when the town blocked a water park proposal. At one point in early February of 2006, the ski area announced it was closing for the season. It would later reopen after a sizable snowstorm. In the fall of 2006, the ski area announced it would not reopen. In the spring of 2007, the town of Middlefield voted to purchase the ski area. 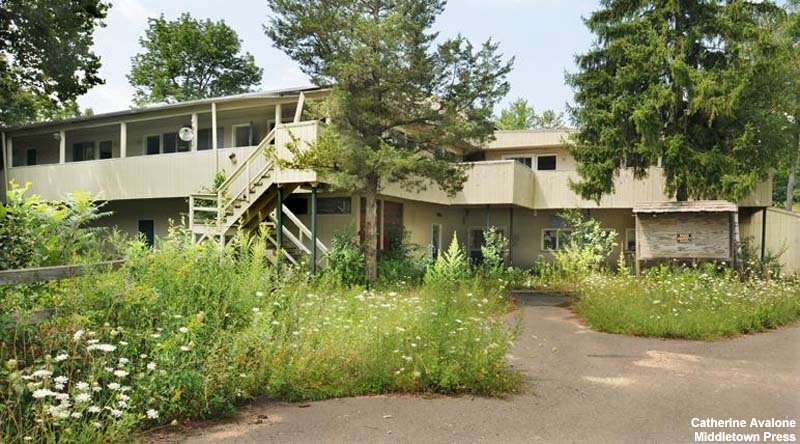 It was unable to secure the ski area at a summer 2008 auction, with Middlefield Holdings LLC retaining the property for $2.75 million. On December 29, 2008, the town of Middlefield acquired the ski area from Middlefield Holdings LLC for $2.55 million. Since the time of closure, the property was heavily vandalized, further complicating attempts at reopening the ski area. Multiple ski area operators were named as interested in helping reopen and/or operate the area, such as Snow Time, Peak Resorts, and Ski Sundown. On May 24, 2011, Middlefield voters approved the sale of Powder Ridge to Alpine Ridge LLC. While Alpine Ridge had plans to reopen the ski area for the 2012-13 season, the deal fell through later in 2011. In 2012, a new group became involved with the ski area and started cleanup work. That September, the Town of Middlefield sold Powder Ridge to Powder Ridge Mountain Park and Resort. Led by Sean Hayes, Powder Ridge reopened in late December of 2013. Powder Ridge's lift served mountain bike park opened on June 19, 2016. "we heard u had 12 inches+ of snow.congradulations.i now live in florida and this brought back memories fro, 1975-1980.i looked on website,read history and it looks like 1975 again.tks 4 keepn tradition. david haniewski, tks 4 the memories.may mother nature bless you." "I grew up less than 10 mi away from powder ridge. My grandparents would take me there at 5 yrs old 1970 to watch the skiers. I skied there regulary from 1976 untill 2006 then moved to vermont . I grew up on that hill learned to ski there on 210cm wooden skis with beartrap bindings and leather boots. My dad would drive me and my friends there in the 70's for night skiing . In my teens and twentys skied the late pass until 3am loved that ski area new everbody if was home many fond memories sad to here of its demise. It was a great ski area it will be missed"